Home » Uncategorized » #MondayMusing – Ain’t birds thirsty?? #MondayMusing – Ain’t birds thirsty?? We were going through a bad heat wave with temperatures soaring above 40 degrees. It was being quite difficult for us in spite of having loads of water, being under the air conditioning, ice creams and others. I was wondering what the little birds and animals are going through in this heat? I noticed crows sitting under sheds to avoid the harsh rays of sun. Little sparrows and pigeons trying to get some space in the window sills making me feel bad for them. So I decided to do something for them. Least I could do was provide water and some food for the little fellows. So I went ahead and made a water bed for them -turned an old wide container into a water pot and placed it on the window sill – we have pretty wide window sills. It gave me relief that birds around my house will get fresh water to quench their thirst. Both me and my mom kept a vigil on the water level and if any bird was visiting. But to our dismay – not a single visitor on Day1! Normally I see loads of pigeons and sparrows sitting on the window grill. But hardly anyone on the day I kept water for them. So next day I decided to keep some rice grains along with the water – much against the wishes of my mom! I thought maybe they’ll come to eat the grains and end up having water along with it. It’s almost like I’m inviting them for a high tea! I also went ahead and changed the water so that they can sip some fresh filtered water! Yeah I was being too good to them. But what was the result – no visitor? The wind took away the rice grains but again no visitor at the window – not even a crow! Crows over here are very smart – they know where the kitchen window is and they mostly flock around that. Two more days passed, yet no visitor and Mr. Sun was kind enough to sip up till the last drop – water evaporated leaving the container dry but no bird! I spotted a pigeon sitting on the grill once but it didn’t bother to look at the water. Few days back I got a small fruit of some tree around our house and thought may be the birds would like that instead of the grains or tiny bread pieces. So I placed that fruit alongside the water container. It’s five days since that fruit is lying at the same spot, the water has turned green – yet no visitor. 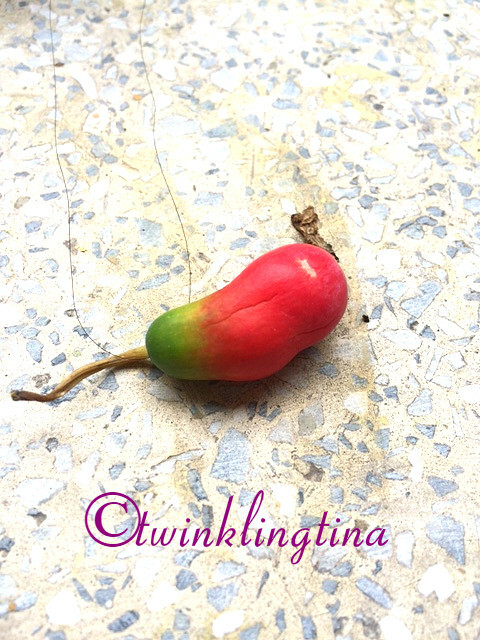 And check what has happened to the fruit. It has started ripening. It’s turning red from green yet no one wants it. May the little fellows are not thirsty! And my water bed experiment for the birds in summer – A BIG FAIL!! Where did you think I went wrong? 1. 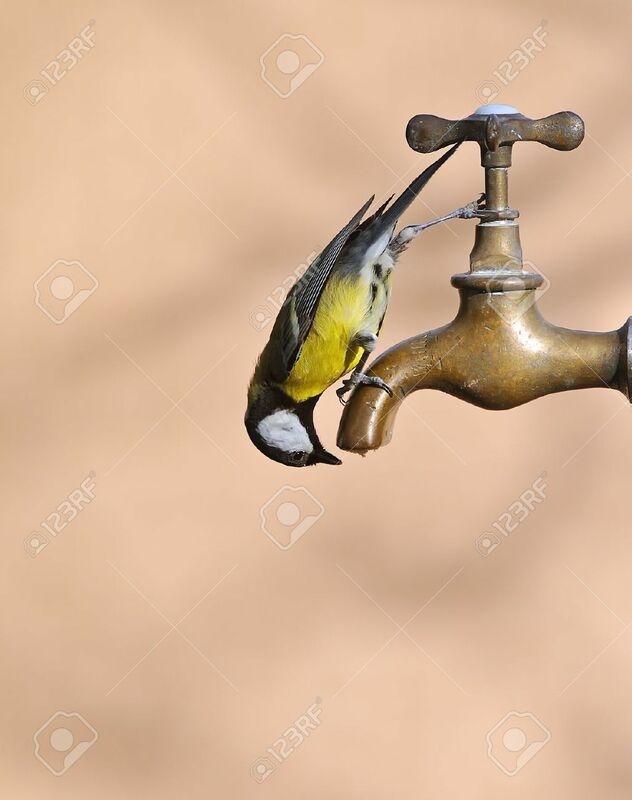 Don’t birds get thirsty in immense heat? 2. Don’t they like plastic containers? 3. Don’t they like fresh filtered water? I get to see a lot of birds around my house and it gives me immense joy to spot an uncommon bird once in a while. The Golden Oriole however, has become a regular visitor. Have you ever tried such experiments? Did you succeed? Let me know. 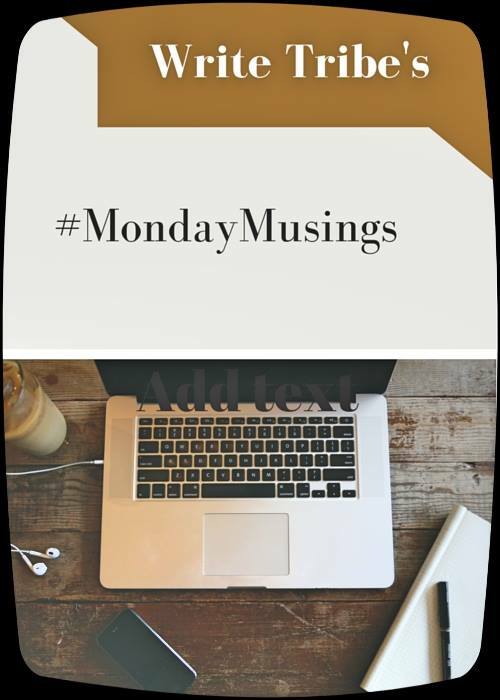 8 Comments on #MondayMusing – Ain’t birds thirsty?? How strange that no birds drank your water. Perhaps they're wary. No water should sit on the sill that was once bare. Try sinking the pot in the ground under a tree–not big enough for them to fall into. You tried to make a difference in the lives of little birds. That is more than most. Keep trying. Put the water out in the yard. maybe they are scared to come so close to the house. Your efforts are full of love and that love is more important than success. You love and want to make a difference. Don't give up. Thank you for inspiring me to make a small difference where I am at. No one touched the water Vishal but some bird ate the fruit! I'm quite happy with that. Birds visit regularly but I think they have acquired better taste. The crows like the breads not the rice grain or fruit. That is my latest observation.